The Central American nation of Belize is divided into six districts, each with its own flavor for visitors to experience as they explore this warm and inviting country. Belize attracts tourists and new residents not just with its beaches and lovely weather but also with the strength and stability of its economy. The six districts are outlined below. This is the country's largest district, home to the national and district capital of Belize City, with over 87,000 people in its 1,623 square miles. 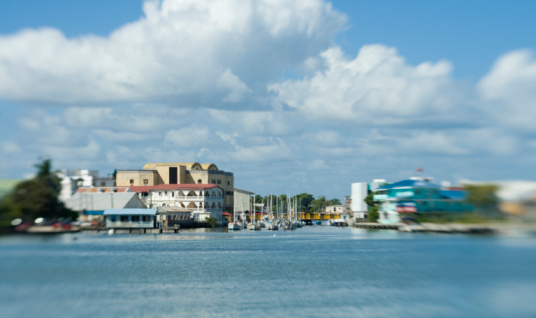 Belize City is a bustling port town, sitting on a peninsula that welcomes thousands of cruise ships and their passengers to the country every year. Cayo district is home to a population of about 67,000 people, and its district capital is San Ignacio. An inland district, Cayo stretches over 2,064 square miles and is home to the tourist favorite Bullet Tree Falls, which is visited frequently because of its location nestled between San Ignacio and the archaeological site known as El Pilar. Although the district of Belize manages the popular Ambergris Caye, technically, it lies within Corozal district to the north. With a population of 35,500, this district includes its capital city, appropriately named Corozal Town, within its 718 square miles. Click here to read about the many rental and investment properties available in and around Ambergris Caye. Orange Walk district, capital city Orange Walk Town, contains 47,000 people within its 1,829 square miles bordering both Mexico and Guatemala. This is the place to visit if you want to see the Lamanai Maya Ruins since the Lamanai Maya Ruins Tour runs from here every day, and the Lamani Archaeological Ruins are not far away. This is a great place to take budding Indiana Joneses! Stann Creek is Belize's smallest district, 840 square miles inside and home to 30,000 residents. If you have the chance, check out Dangriga, its capital city. There, you will find every kind of tropical activity: canoeing, sport fishing, hiking, snorkeling, birding, and that's not even mentioning the sandy beaches that can ease all of your cares away. Finally, Toledo district is home to the southernmost city in Belize, its capital Punta Gorda. Over 27,600 people live in the 1,795-square-mile district. It is known as a gateway to Guatemala and features many varieties of fruit trees lining the main roads. It is a true melting pot, with residents descended from Chinese, East Indian, Lebanese, Creole, Mopan and Kekchi Maya peoples. No matter what district of Belize you choose to visit, or all six of them, you will find what this blogger found: something new to do every day, and if you don't feel like doing anything but relaxing, you'll find plenty of opportunity to do that here too!